The Gamemaster's Allies and Adversaries Journal is perfect for game designers, novelists, and especially gamemasters wanting to keep track of all non-player characters in their world. 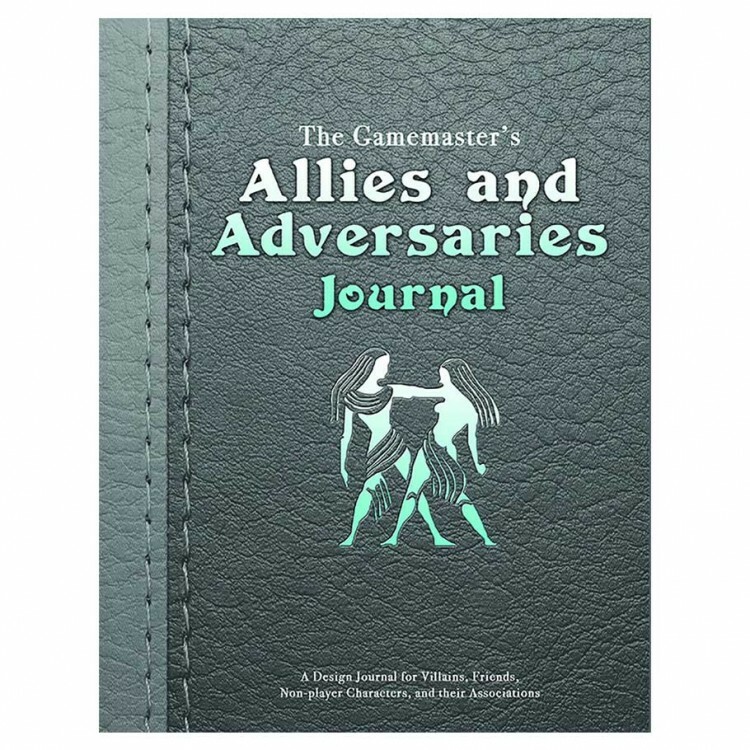 This product is designed as a blank journal for you to catalog all the various non-player characters you’ve created for your campaign world. The book is broken down into 6 chapters. Major Non-player Characters is for those important NPCs. Minor Non-player Characters are important, but typically on a more personal level. General Non-player Characters are characters that are minor in your campaign, but the players will often meet more than once. Simple Non-player Characters are typically one-time encounters or spare personalities you can use in a pinch. Guilds & Organizations is a catch-all for any groups that several NPCs might belong, such as thieves guilds, royal families, adventuring parties, tribes, etc. The Family Tree section provides several blank forms for characters and NPCs that have important family ties to others in the setting. These are Simple, but space is given to expand upon.